Quinceanera is a traditional and memorable event of a girl’s life which is observed across Europe and America. This is a grand celebration of transition from childhood to young womanhood. Historically, in the years prior to their 15th birthdays, girls were taught cooking, weaving, and about childbearing by the elder women in their communities in preparation for their future roles as wives. And at her 15th birthday, according to tradition, the honorary guest would dance with the girl would wear a separate suit and appearance. So, in the event of Quinceanera, your hairstyle must look gorgeous and flamboyant. 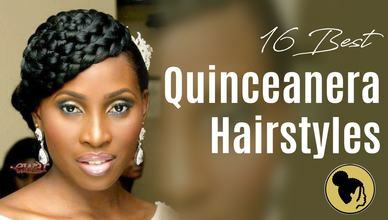 Most of the time the Quinceanera hairstyle mean the bridal looking hairstyle with a crown. 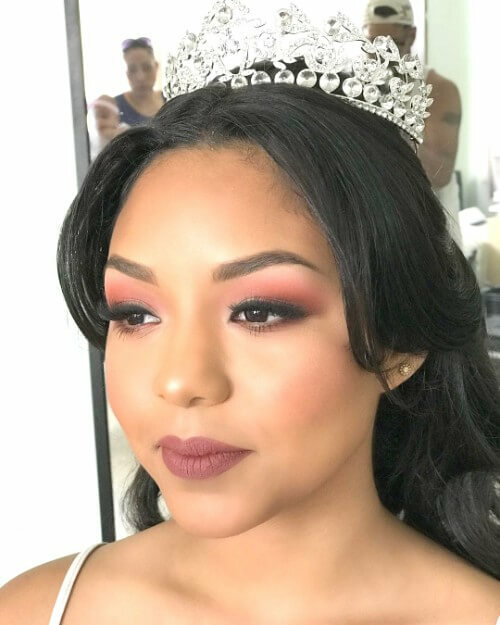 But we are here to discuss some crowned and non-crown Quinceanera hairstyles which can make your event more memorable and worth praising. For that, we have picked the greatest hairstyles which will fit best on the occasion of a Quinceanera. So, let’s start. The first thing we want to show you is the crochet braided hairstyle with tiny pixie braids. 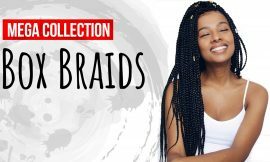 The crochet braids are available at almost every beauty shops and saloon. The dream you have cherished till now can be accomplished by this wonderful hairdo. Wear this beautiful hairstyle and you will look no less than a charming princess. On Quinceanera, you are introduced with the world as a woman just completed the journey of childhood for the last 15 years. So, you must have a look of gorgeous young women with full of joy and confidence. 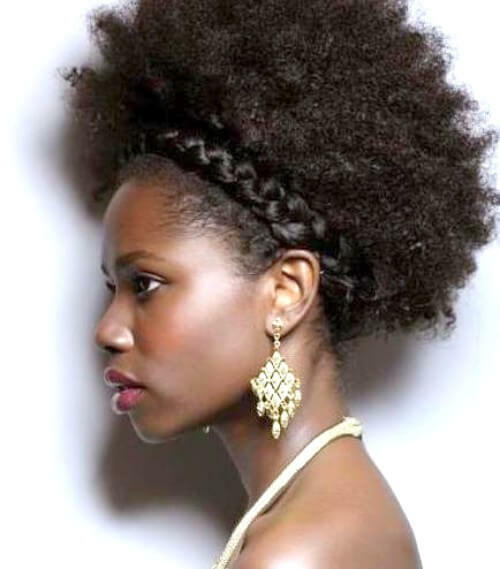 In this respect, you may choose this great afro ponytail hairstyle to make the crowd applaud. This puffy and curly ponytail will add some extra intoxication to both alcoholics and non-alcoholics. 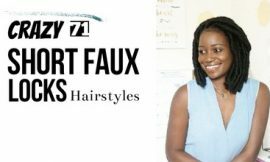 French Braids and Coils can turn the impossible to possible. Now, look at the picture below and carefully observe it. Maybe this one is the cherished hairstyle for your special day. On the occasion, you will be the magnetic part and you must do something which will create a breathtaking situation among the crowd. And no doubt, this braiding curl hairstyle will assist you in doing that. Traditionally, the 15-year-old young women wear some common things across the world. This hairstyle is one of them. The curly updo and some floral effect at the same time. As the Quinceanera is an occasion of religious and traditional interest, the classic and traditional hairstyles are mostly used by the girls. And with no doubt, this hairstyle can make your special day more special and memorable. When you have a lot of people to meet, a lot of people to dance with and a lot of things to do, you must wear a comfortable and gorgeous hairstyle. And for this, there is no substitute for an updo hairstyle. Hereby we have picked an updo hairstyle with a lovely hair band. Because on Quinceanera, you must look like a queen. Sometimes we can not understand the power of the braids. 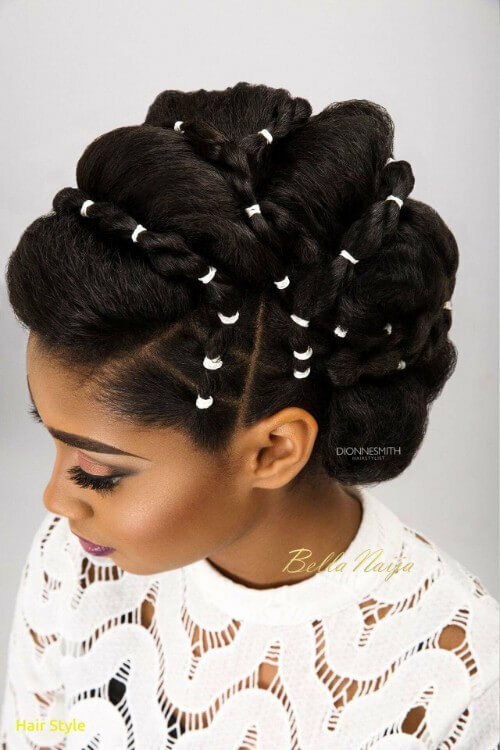 The ordinary braids can make things extraordinary just like the hairstyle below. The thick natural braids are the main catalyst behind her charming beauty and glamour. 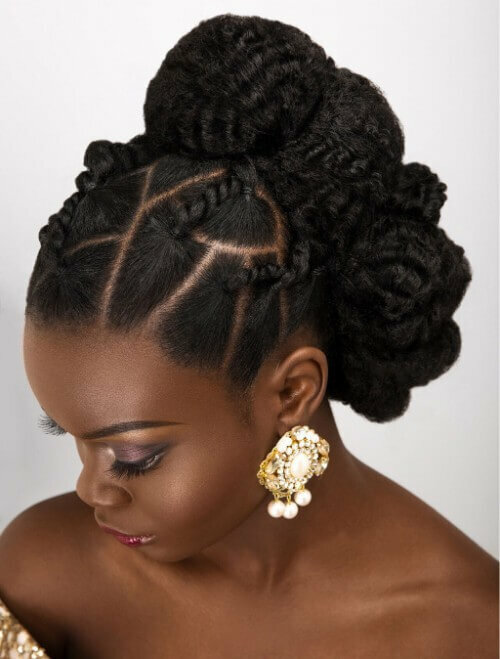 This hairstyle is all about making some gorgeous braids and wrapping the whole head with them. On Quinceanera, you will be the topic of talk, the attraction of the attracted and center of the occasion. That’s why you should use a hairstyle which will enchant everyone on that event. 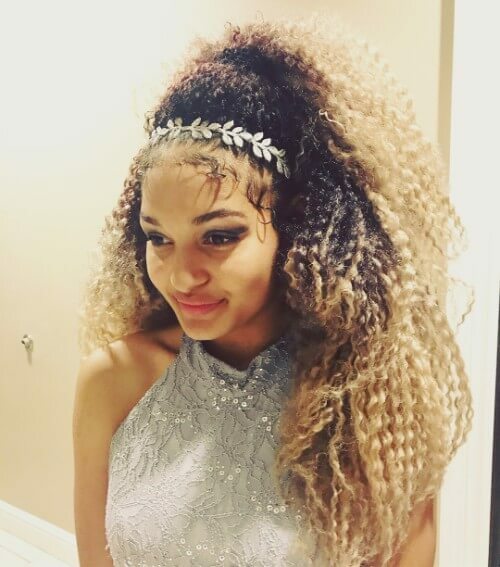 And besides all other interesting and exciting hairstyles, we have a special recommendation of wearing this long curly hair with a dazzling silver hair band. This will give you a traditional look and make the others fall in love with your hairstyle. I know, most of you are eagerly waiting for the crowned hairstyle. And here it comes. We have picked some best-crowned hairstyles only for you on the eve of your Quinceanera. Here, we are recommending you a beautiful crown which will be a beat fir according to the measurement of your hair and long straight or wavy hair. You do not need anything to make your day beautiful. I am sure with this historical hairstyle your Quinceanera will be memorable and praiseworthy. When you want to use a crown on Quinceanera, but you do not like the metal crowns, you have this great option; the braided crown. Why would you need a metal crown when your braids can make a perfect crown themselves? 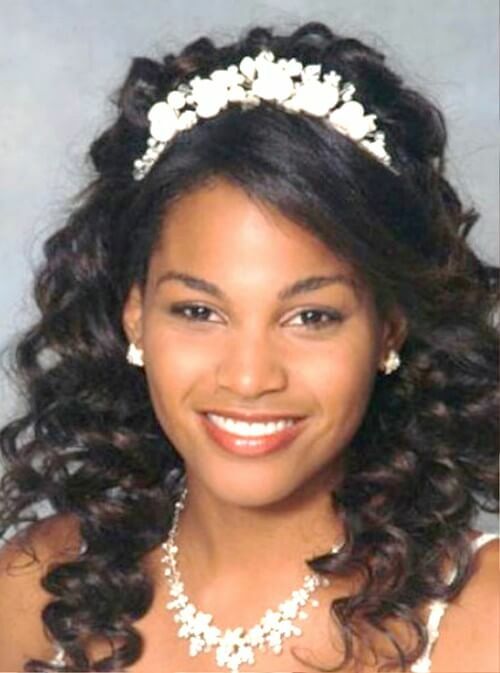 This natural haired crown hairstyle is one of the top popular hairstyles for Quinceanera. What else can perform better than a lovely high bun with tiny supporting braids? This is what we are exactly trying to show you in this section. In every culture, in every event or occasion, the giant bun can pacify thousand hearts within a short span of time. So if you choose bun, it will be a great choice for your Quinceanera. 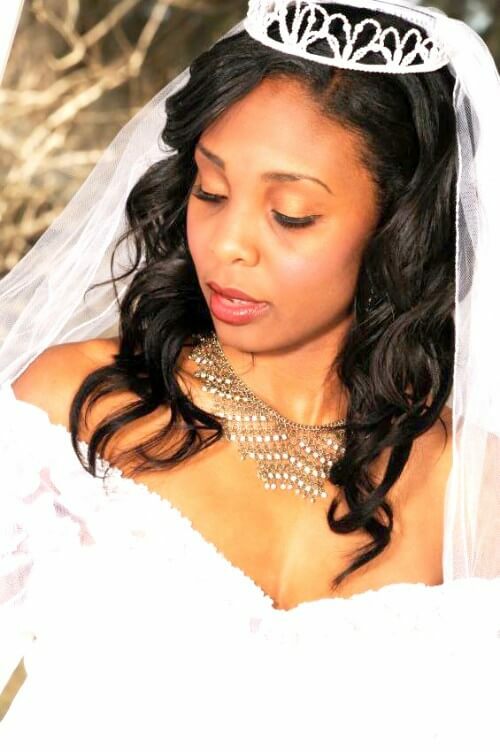 Bridal and Quinceanera hairstyle have a very little difference in the African American black society. That’s why we have brought you this bridal looking hairstyle for your Quinceanera. In respect of beauty and effect, it will make the heartbeats of the guests bump. 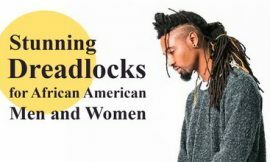 The African Americans and the Afro are the two very closely related terms in occasions and parties. So, on Quinceanera, an Afro hairstyle can make a boom. Hereby we have selected an Afro updo. 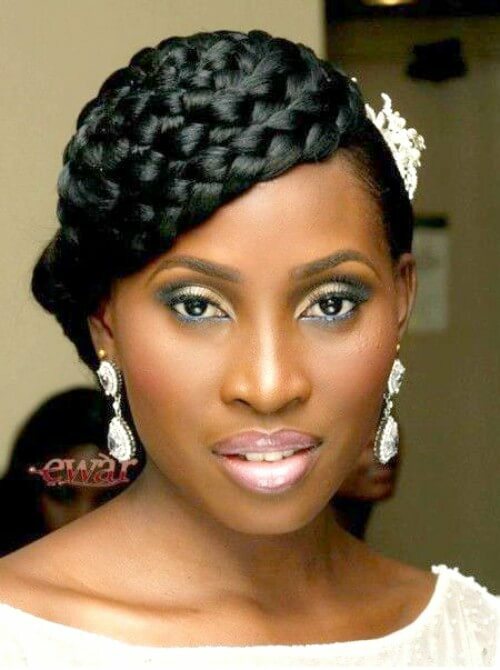 And in the basement, a lovely braid is wrapped around the head to add some extra sensation to your hairstyle. 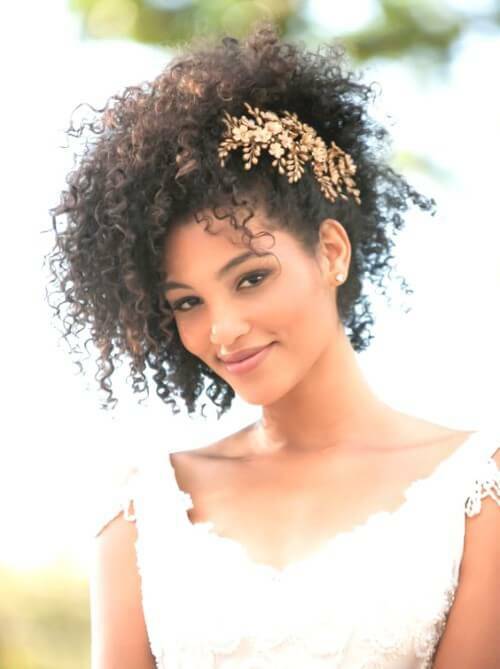 Remember to wear the exact ornaments with this Afro updo. 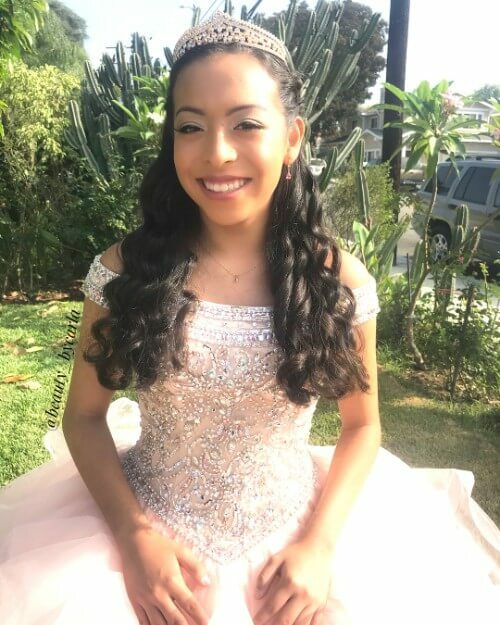 Many of the Quinceanera girls want to remain hassle free and jolly during the event. 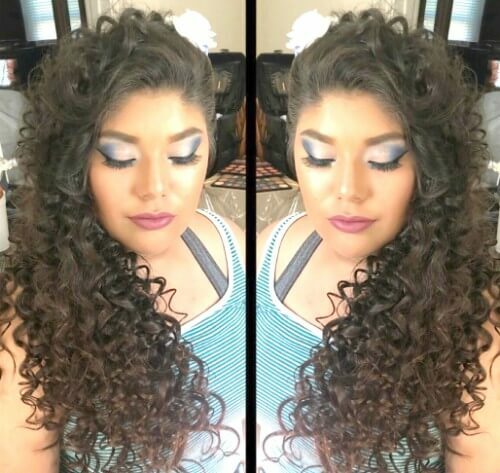 For them, we suggest the wavy curly long hair as their Quinceanera hairstyle. 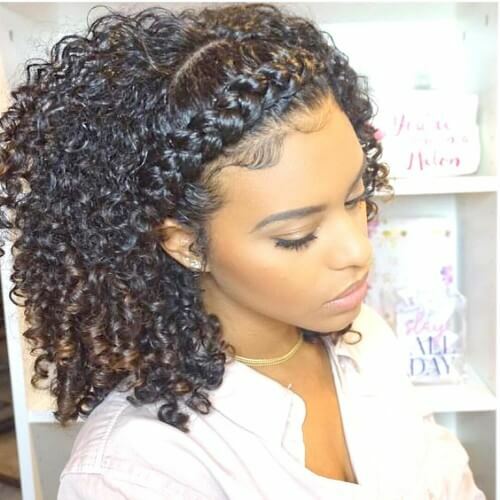 SO for the curls lovers, there is no better choice than these hairstyles. 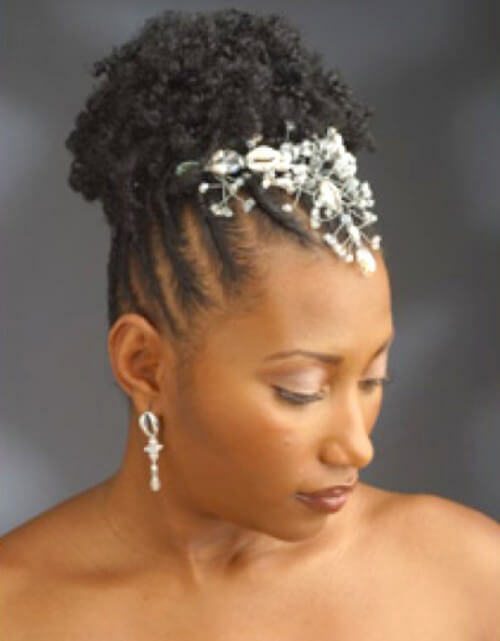 This is a short natural hair updo hairstyle for Quinceanera of the African American black young women. 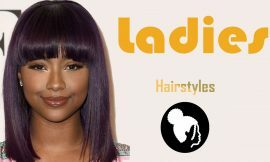 The sides are designed with the rules of cornrows and the top portion of the head beautifully decorated with the curls. And the fun part is the small crown positioned on the front part of the head. The Quinceanera girls are of various types of mentality. 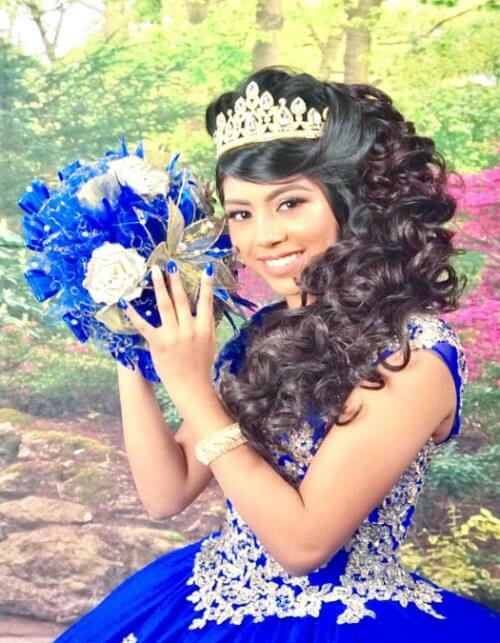 Some want a traditional look, some want something different on Quinceanera. To make a difference we have found this hairstyle for you. 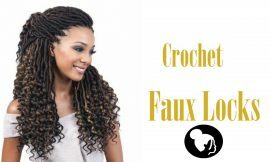 The lovely blonde crochet braids. You will find it in any beauty shop. Along with this, you must wear a crown to add the Quinceanera effect. And the little girl looks like a young woman now. 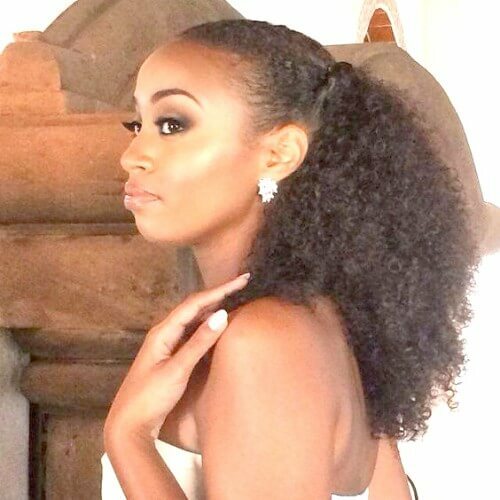 This one is another example of the application of Afro hairstyle on the occasion of Quinceanera. 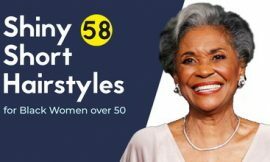 This Afro is also an updo hairstyle like the previous Afro hairstyle. 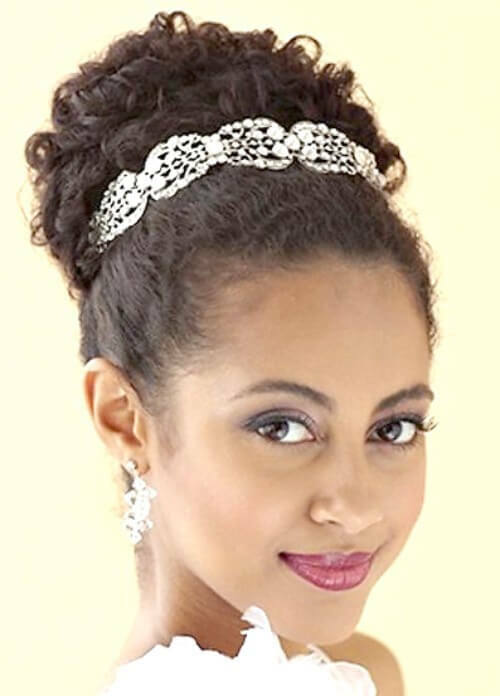 Here the hair band and puffiness have been added additionally to have an amazing Quinceanera hairstyle for the African American black girls. We have reached at the end of our discussion and now it’s time to reveal the best one according to the writer’s choice. And the important thing is that we won’t say anything about the beauty, effect, and charm of this hairstyle. You yourself will understand clearly after looking at the hairstyle. Now it’s your turn. Send us your suggestions and feedback through the comment box. And we will try to patronize your views and suggestions.